Hong Kong director Derek Yee presented his newest anti-drug film "Protege" to the Beijing media on Saturday afternoon, along with its stellar cast including lead actors Andy Lau and Daniel Wu and supporting actress Ho Mei Tin. Director Yee said that he was greatly impressed by the professionalism and dedication of the big names to this movie, setting aside their glamorous images to play breakthrough roles in "Protege". Dubbed "Everything About Drugs", the movie "Protege" was inspired by a true story about a drug dealer and his apprentice. The film portrays the underworld realistically and emphasizes the messages that "drugs kill and drugs kill and drugs are bad". Andy Lau plays a big-time drug dealer in the movie with Daniel Wu as his two-faced apprentice, concealing his true identity as an informer send by policeman. Chinese actress Zhang Jingchu plays a drug addict who trying to quit, intending to set an example to persuade her husband to quit drugs. However, she later has a love affair with Daniel Wu. Yee said lead actor Andy Lau has gradually become a professional actor rather than an idol, presenting more mature and sophisticated performances in movies. He also gave high credit to Chinese actress Zhang Jingchu's performance as drug addict in an unhappy marriage. "She did much more preparation and research than what asked for her role in the movie. She was so engaged in her role during the shooting that I even started to worry that movie might leave her psychological problems," Yee said. Daniel Wu's role as a two-faced apprentice was the most difficult one to portray, Yee said. "Other roles are much more expressive and distinctive than his. His portrayal of the role is hard to top," Yee said. Yee, who directed the recent films "2young" and "Drink drank drunk," won the best director award at the 2005 Hong Kong Film Awards for "One Night In Mongkok." 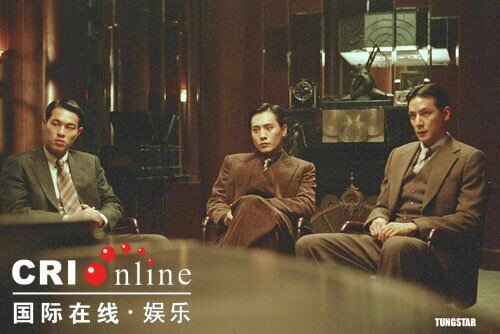 Though the theme of the movie is far from the Spring Festival's joyous atmosphere, this movie "Protege" is expected to do well at the box office. It is due to be released in cinemas across the nation on February 14, Valentine's Day.